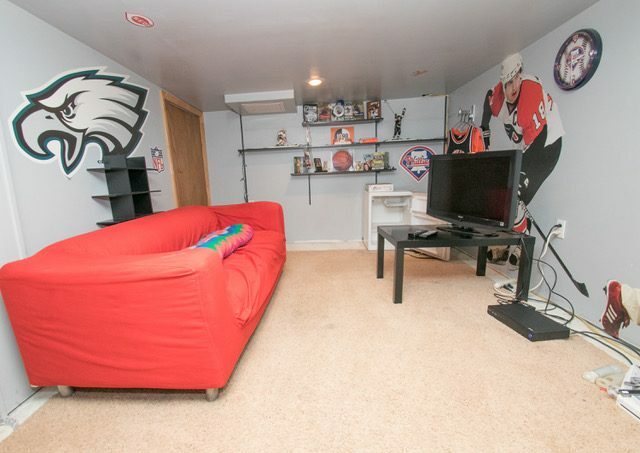 Live in the lap of luxury in South Philly! 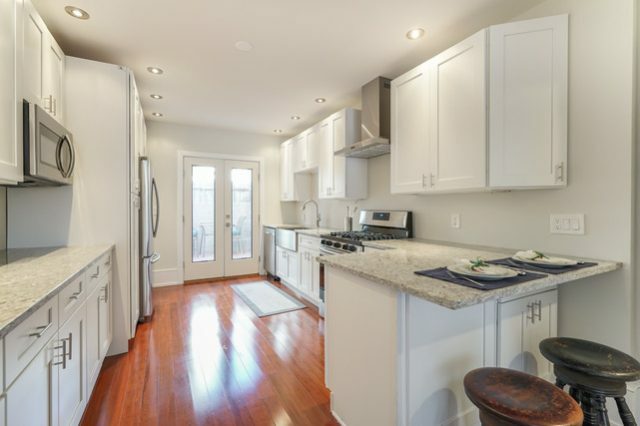 This newly renovated home in East Passyunk Crossing is ideally located within walking distance to East Passyunk Avenue’s shops and some of the top restaurants in the country. The home is also close to public transportation. This home was designed for comfort, with an emphasis on sustainability. 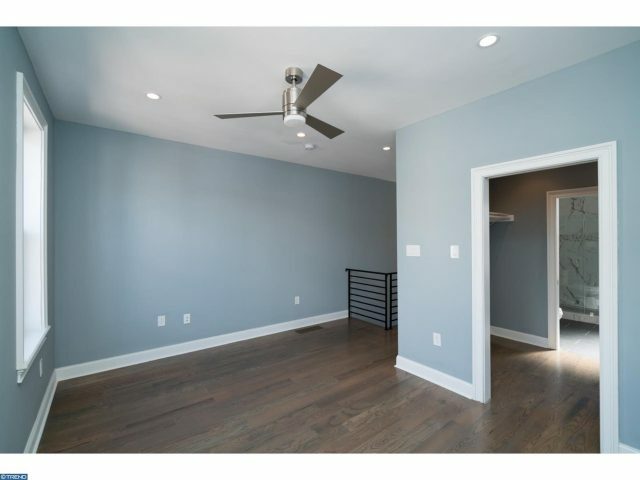 Green features include VOC-free paint, energy efficient windows, hot water heater, and HVAC system. 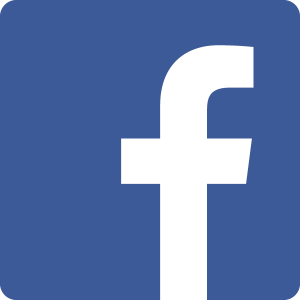 The house’s systems are brand new, including the plumbing and 100 amp electrical service. 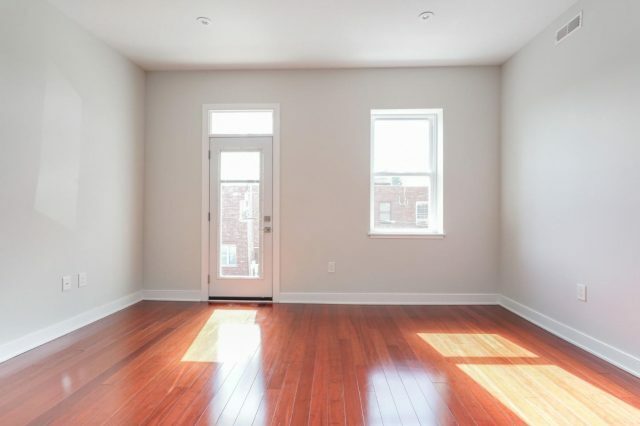 In addition to great natural light, you’ll find hardwood flooring throughout, beautiful finishing details around the doors and windows, and decorative baseboards and crown molding in the living room. The home also features a new roof and Ring doorbell system. 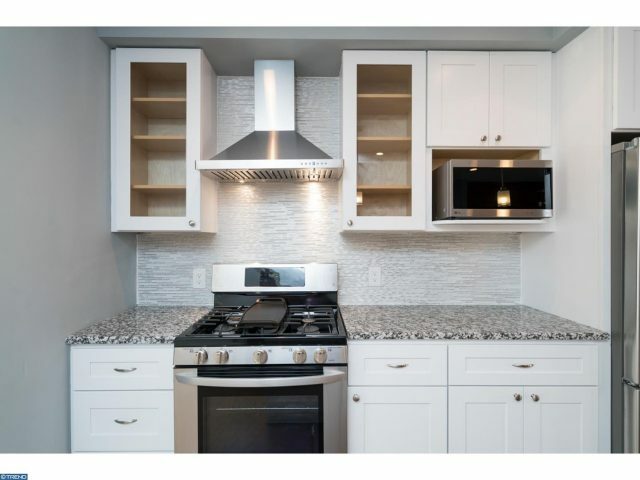 The state of the art kitchen boasts stainless steel appliances, granite countertops, and ample cabinet space. French doors lead from the kitchen to a back patio area that’s lovely for entertaining. The second floor contains three bedroom suites — with plenty of closet space in the master bedroom. 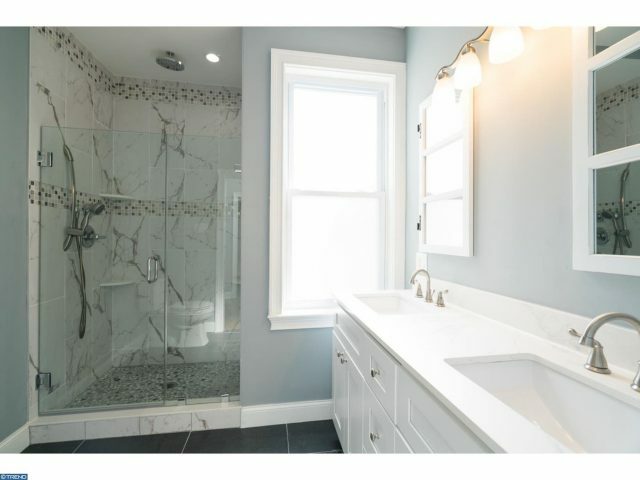 Three and a half baths with beautiful tile and granite countertops are supplied by all-new plumbing. The second floor front bedroom has a Juliette balcony which provides unique curbside appeal. There’s additional storage area in the fully-finished lower level, complete with an antique wine press! A 10 year tax abatement has been submitted for this property. Sellers are offering a $4,000 credit to outfit closets & glass shower doors. 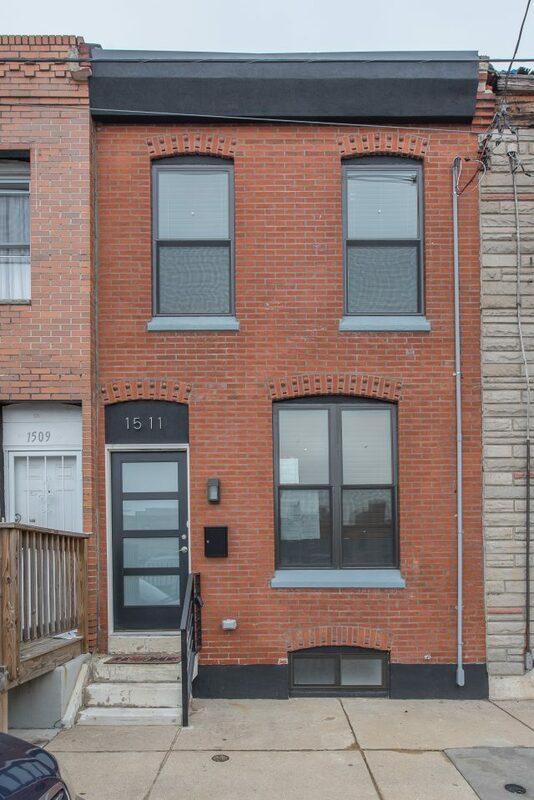 Welcome to 2610 Catharine Street…perhaps your future home. 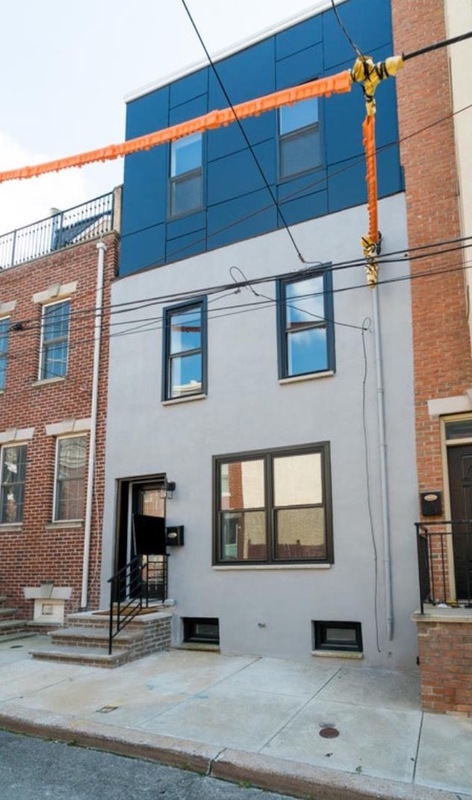 This beautiful, new three-bedroom, 2 1/2 bath rehab with third-story addition in Graduate Hospital boasts 1,700 square feet, including the basement. 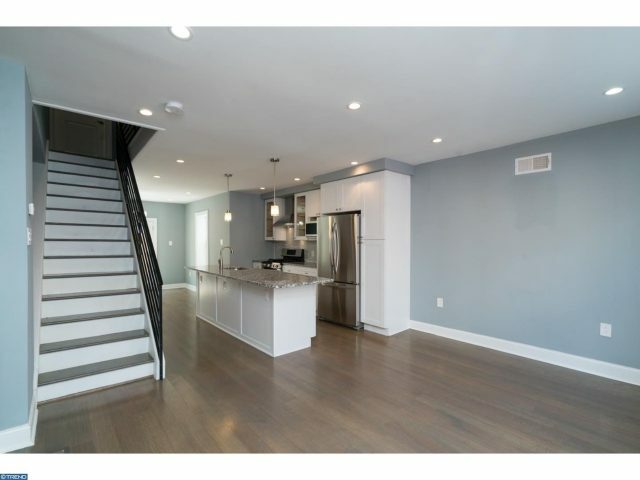 Conveniently located just minutes from the South Street bridge, I-76, 1-95, major bridges, PHL International Airport, CHOP’s Roberts Center, University City including Drexel and Penn, Center City, and so much more. The home is in the Chester A. Arthur School catchment area. Live in the heart of it all! Upon walking up to the property you will find beautiful gray stucco and a modern/sleek metal dark gray exterior on the third floor. Entering through the large metal door with long glass window, you will find a completely renovated and modern new home. 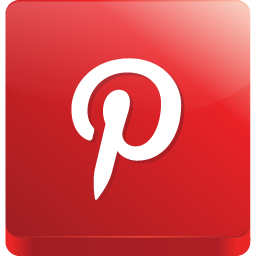 Throughout the house, you will find beautiful 5″ x 3/4″ thick oak hardwood floors (except in the basement and bathrooms). The first floor boosts exposed brick walls and a nice-sized open floor plan with living room, dining room, and kitchen. The first floor is flooded with natural light. 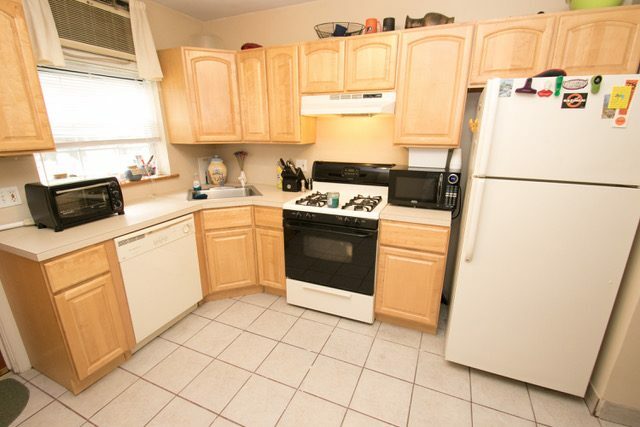 The kitchen features granite countertops and plenty of cabinet space with soft-close doors and drawers. 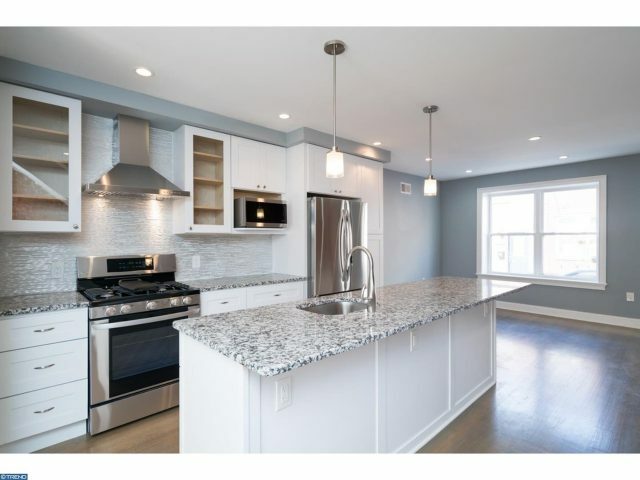 The large granite island with stainless steel sink and garbage disposal is a great place for entertaining and seating. All stainless steel appliances including a LG French door refrigerator with bottom freezer; LG gas range with hood; LG dishwasher with QuadWash; and an LG microwave. There’s also a gorgeous tile back splash. Off of the dining room through the French doors is a perfect outdoor space with flower bed. The basement is partially finished with a powder room and all mechanical systems. 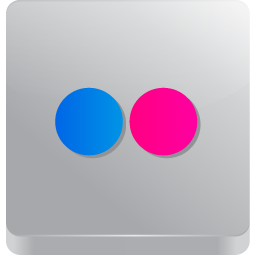 Great for a rec room. There is a small unfinished crawlspace in the rear of the basement and a source of egress. On the second floor, you will find two nice-sized bedrooms with closets. 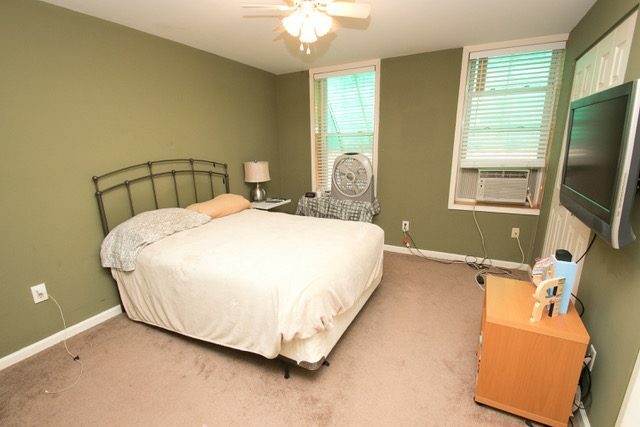 The front bedroom has a walk-in closet and lots of natural light. The laundry room has a Samsung high efficiency front-loading washer with steam and a Samsung gas dryer with steam. 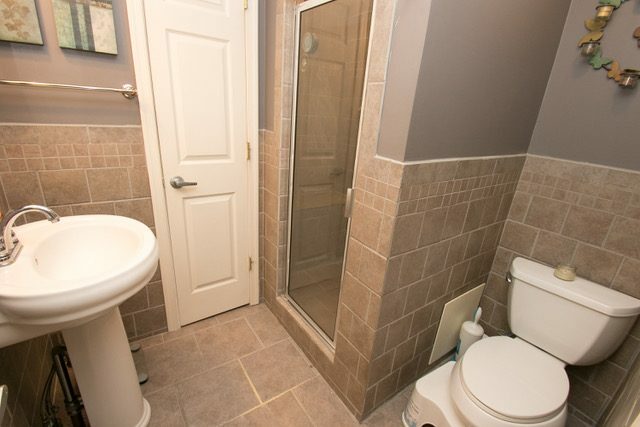 A beautiful three-piece ceramic tile bathroom with tub/shower is also found on this floor. 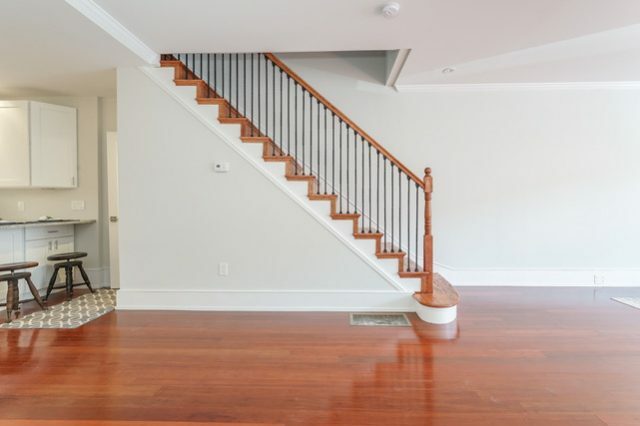 The third floor is the master suite with walk-in closet and bathroom. There is an additional den/office with balcony overlooking the yard. There’s a walk-in closet with built-in rod and shelf. 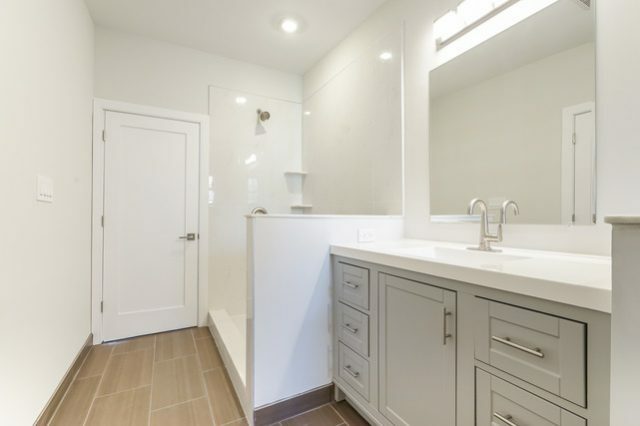 The beautiful master bath features a double sink and a stunning tiled walk-in shower with glass door. Simply perfect. Don’t overlook this beautiful and unique home on a quiet side street. Come check it out for yourself! 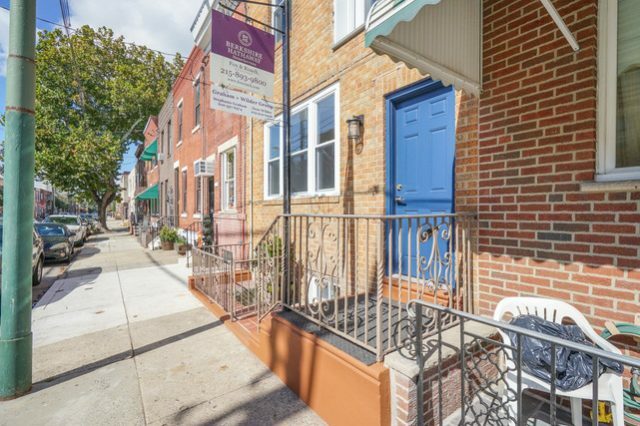 A move-in ready home in one of the most in-demand neighborhoods in Philadelphia. 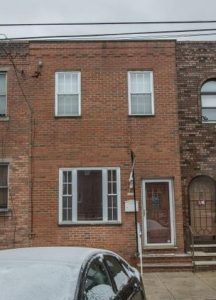 This two bedroom home on quiet Warnock Street opens up to the leafy park at East Passyunk Community Center—which is soon to undergo an almost one million dollar renovation as a public green space. 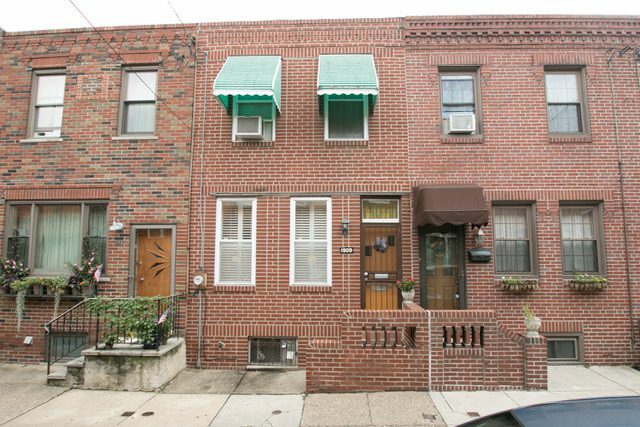 Small and well-maintained, this home is close to public transportation including the 45 bus and the Broad Street Line. Even closer are the shops, restaurants and destinations of East Passyunk Avenue. New businesses join the nearby Bok Building every week, including Irwin’s restaurant on the top floor, Two Persons coffee, the SmokHaus, and a daycare. 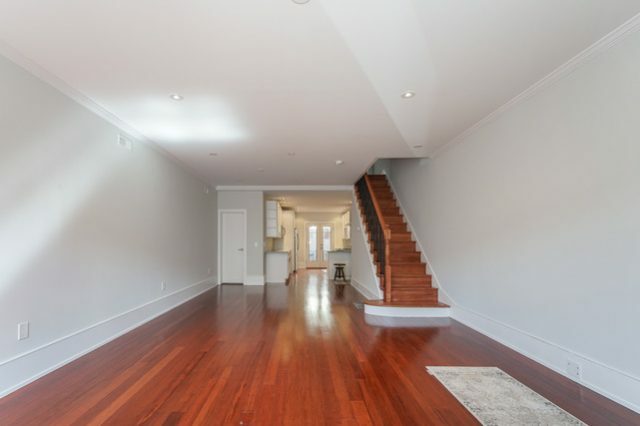 On the first floor, the open footprint has your kitchen, dining room and living room. 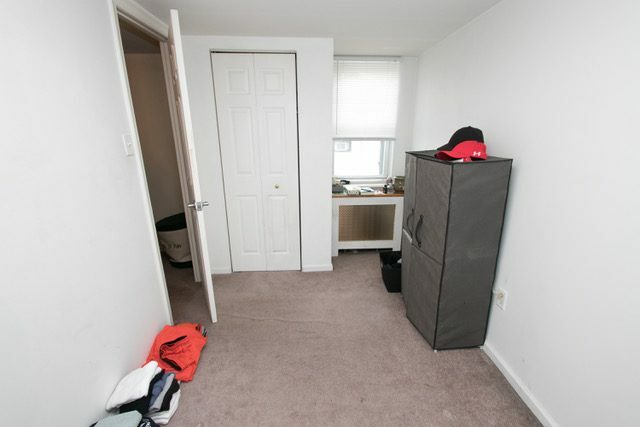 There’s a coat closet, too. 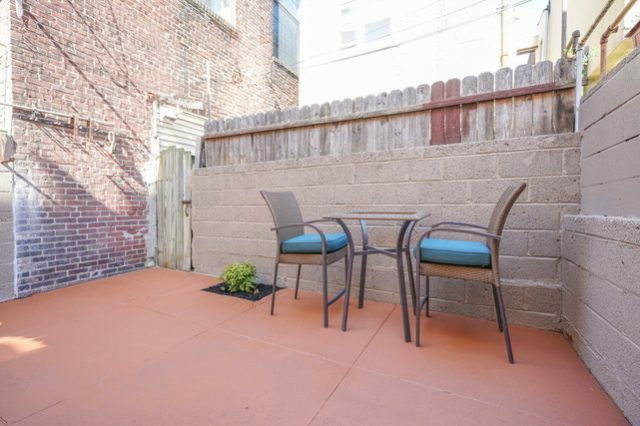 The backyard has an open feel and accommodates seating for guests and relaxation. 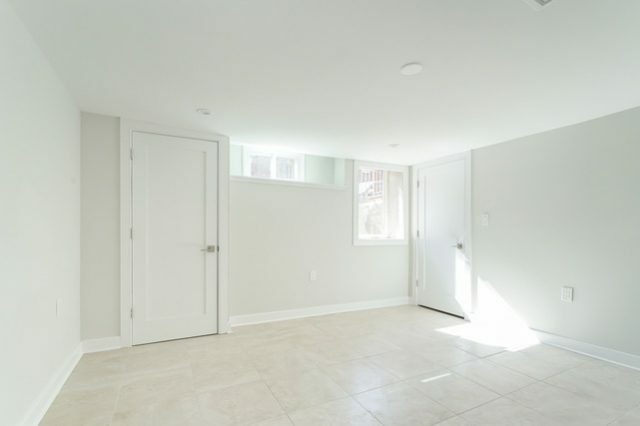 Head downstairs to find a finished basement with a modest ceiling height. This space is a great getaway, media room, or office. There’s also laundry and storage. The second floor features two well-lit and good-sized bedrooms. The updated bathroom is at the top of the stairs. 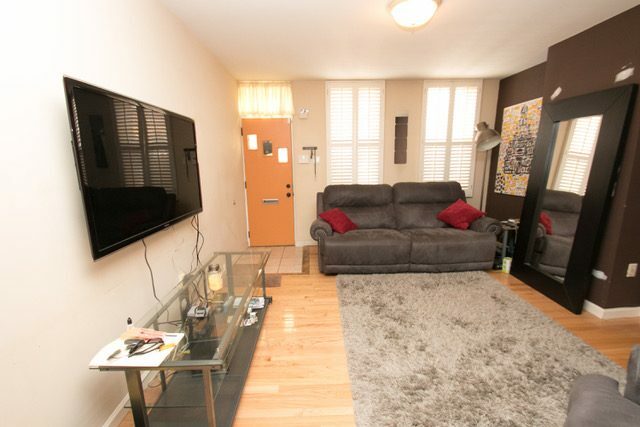 This home offers a lot and even comes with a one year warranty.